Helping You Find Home in the Greater San Antonio TX Area! Whether looking to buy or sell, I serve all your Real Estate needs in many areas to include San Antonio, Schertz, Cibolo and Garden Ridge!! Home can mean different things to different people. When I was a young girl, my mother and I moved a lot. My mother was always searching for a place to call "home". In fact, we always seemed to move at Christmas time, packing up the tree and ornaments and heading on out to a different area of town. We moved every couple of years until I asked my mother, could we please stay in one place until I graduated from high school. She agreed and we stayed in the same apartment until I graduated high school and joined the Army. As soon as I did that, oddly enough, she moved :)! As you see from the above statement, I joined the Army at 18 and stayed until 21 years later. For those of us who are or were in the military, the common saying is "home is where you hang your, hat, cover, beret, (fit whatever head gear you would like in the saying)" . As you may imagine, I spent a lot of those 21 years in different places, calling them home. I did indeed spend a year in Iraq calling that hot desert home and in various other states and other overseas areas. Sometimes home wasn't so pleasant and sometimes it was great and very hard to leave. However, being in the military as some would know, you really don't get to stay in any one place too long. After 21 years, I retired from FT Sam Houston, TX as an Army Medic and decided to call this place my home. Home can be a place of safety and comfort. It can be a place of quiet and peace or loudness and joy, (interchange all of those and it can still be home). But most of all, it's a place you want to come to and it's yours. It is a place that will always receive you when the outside world doesn't. Home is where you can be you and trust me, Home is a wonderful place to come to when you have been away from it for a long time. Home is....well, put your own meaning in there, because it is what home is to you. So...finding home has always resonated deep within me and when I decided to retire from the Army, I felt my calling, (for lack of a better term), would be to help others find home. It is what gives me my deepest joy when I help a first time, or millionth time buyer find that perfect place for them. It gives me some of the greatest satisfaction to help sellers sell their initial homes or their second or third homes so that they can continue their journey to find their ultimate home whether they are downsizing or upsizing. I have been in Real Estate now for almost 11 years now, and I plan to keep on going. I am now a small team of The Mullen Group with RE/MAX Access with 2 great buyer's agents and a terrific Client Care Specialist. So...that's a little bit of my story. I hope it made sense to you and if you need help Finding Home, whether that be here in the Greater San Antonio, TX (including Schertz, Cibolo, Boerne, Helotes, New Braunfels, Selma etc) area or elsewhere in other pastures, please feel free to call me or look me up on my website, www.findurwayhome.com. I promise that I will give it my all to Help You Find Home! Thanks for stopping by my profile :)! 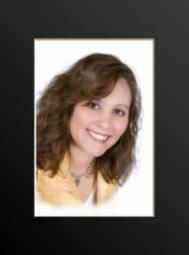 I specialize in listing and selling homes located in the Bexar, Guadalupe and Comal County Texas area. Those are home located in San Antonio, TX, Schertz TX, Cibolo TX, Selma TX, Garden Ridge, Boerne, and Helotes...all part of the Greater San Antonio TX area. I also work with many San Antonio Texas home buyers. I have worked extensively with Military Buyers and sellers who are relocating here to FT Sam Houston or what is now known as Joint Base San Antonio, Randolph Air Force Base and Lackland Air Force Base or PCSing to other bases. I have also worked extensively with medical personnel such as physicians, physician's assistants, and RNs. I help both First Time Home Buyers and those who have gone through the home buying process before. In a nutshell I specialize in finding people home whether that be here in the Greater San Antonio TX area, or if they need to find greener pastures else where! When I decided to first put my house on the market, I was trying to save a few dollars in the sale and went with a do-it-yourself kind of real estate agency. In the span of 4 months, my home had only 5 showings. When I met with Brenda from Smart Moves Realty, she was enthusiastic and determined to triple the showings for my home. Brenda used many multimedia tools to appeal to any buyer. Even with her busy schedule, she dedicated 3 days to an open house. When my home was for sale under Brenda, my neighborhood became saturated with homes for sale. However, Brenda worked even harder to sell my home and her dedication generated numerous showings. When my home did come under contract, Brenda offered solid advice in order to help the sale become final. She truly worked for me, the seller, rather than herself as the real estate agent. I have nothing but great things to say about my home buying experience. As a Soldier I could tell right away over the phone that Brenda still has a little bit of \'Army\' in her. She was always polite and handled every detail with the upmost importance. This was very reassuring to know that I had a realtor who cared about getting her job done right and helping me buy the home I wanted. I just hope that if and when the Army decides to move me that Brenda will be around to make sure that selling my home is as easy as it was buying it.